Cheryl Strayed is the author of the New York Times bestselling memoir, WILD; TINY BEAUTIFUL THINGS (forthcoming from Vintage, July 2012); and TORCH, a novel. 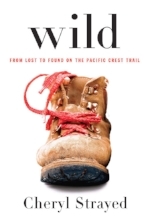 WILD has been optioned for film by Reese Witherspoon's production company, Pacific Standard. Strayed has written the "Dear Sugar" column on TheRumpus.net since March 2010. Her writing has appeared in the New York Times Magazine, the Washington Post Magazine, Vogue, Allure, Self, The Missouri Review, Brain, Child, Creative Nonfiction, Water~Stone Review, The Sun and elsewhere.